Brunnion Cottage is a single storey character cottage set in the town of Carbis bay near to St Ives in Cornwall. The cottage can sleep four people in two bedrooms which are made up of a double and a twin as well as a family bathroom. The rest of the cottage is made up of an open plan living room with kitchen, sitting and dining areas as well as an exterior utility room. To the outside is off road parking for two cars and a garden with lawned areas and patio with furniture. 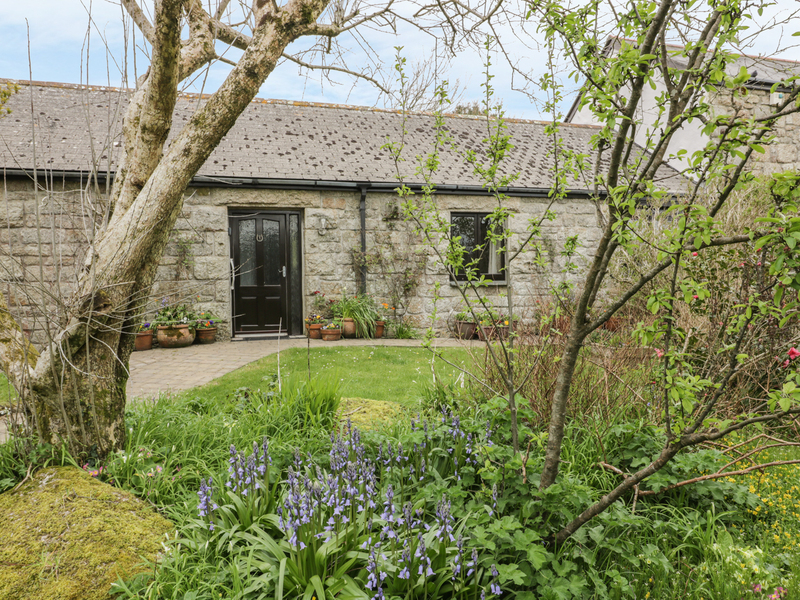 Set in a great situation, Brunnion Cottage can be enjoyed at any time of the year. Oil fired central heating. Electric cooker, microwave, washing machine, shared use of freezer and tumble dryer, dishwasher, TV with Freeview, DVD, WiFi, selection of books, games and DVDs. Fuel and power inc. in rent. Bed linen and towels inc. in rent. Cot and highchair available. Off road parking for 2 cars. A very private decked area with summer house, rattan suite and coffee table, an outdoor table and chairs and barbecue for the use of guests. Two well-behaved pets welcome. Sorry, no smoking. Shop and pub 2 miles.